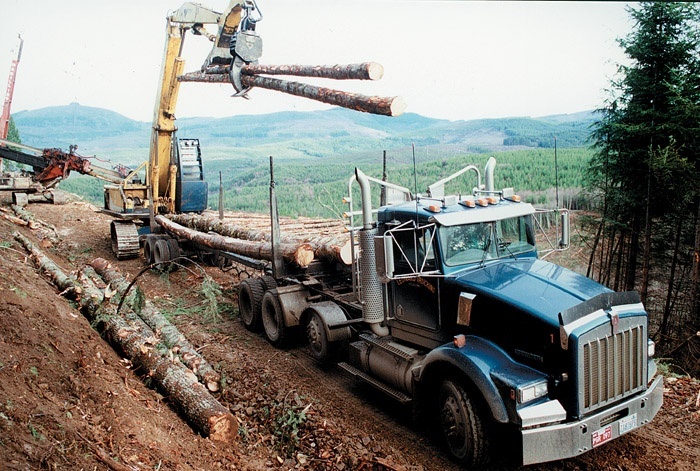 Timber Harvesting’s May issue features C&C Logging, which relies on a quality reputation to grow its business in the Pacific Northwest. 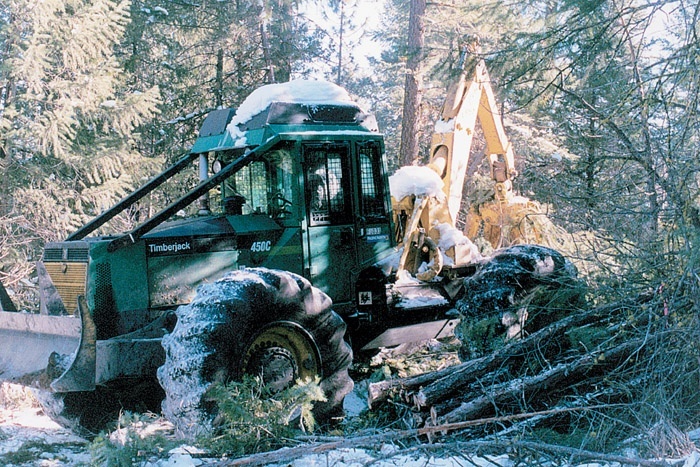 Also, FRA’s National Outstanding Logger, Terri Simon-Jackson, performs stewardship logging in the Sierras. Rolling down a woods road that snakes like a long gravel artery through Weyerhaeuser’s extensive St. Helens Tree Farm in southwest Washington, 33-year-old Frank Chandler Jr. articulates the vision that drives C&C Logging Co., the operation started by his parents 34 years ago: “The kind of contractor we try to be is a ‘no maintenance’ contractor. You tell me what you want, how you want it and where you want it, and I’ll make sure it’s done right,” he exclaims. Terri Simon-Jackson, District Ranger of the Mt. Hough Ranger District of California’s Plumas National Forest, speaks to the new order of National Forest management and how it has changed in the last few years: “It’s really not all that important what you take off the land. What really is important right now is what you leave behind. (Contractor) Randy Pew epitomizes that. He’s made a good transition to forest stewardship. He has retooled his business. 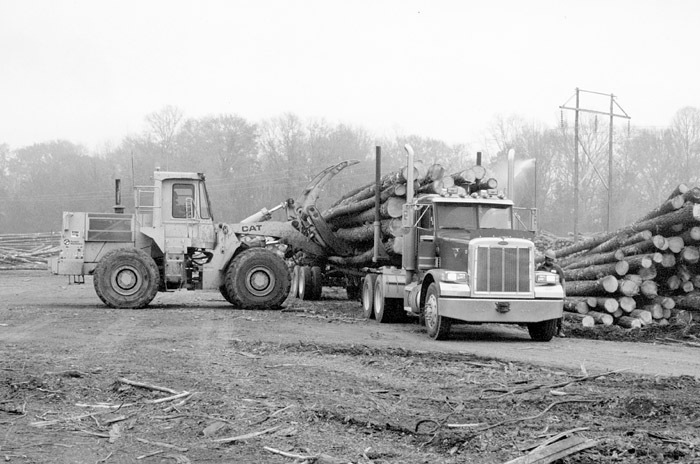 Log truck scales originated in the Northwest as an offshoot of the aerospace industry nearly 30 years ago. 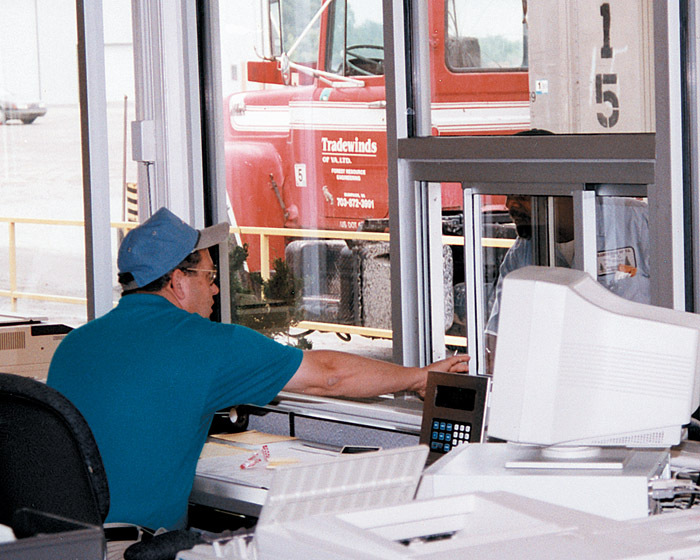 Whether the design is a platform or on-board system, both include two basic components: highly reliable load cells and electronic controls. Very little has changed in the former, but electronic technology has made great strides just as it has in many other industries. 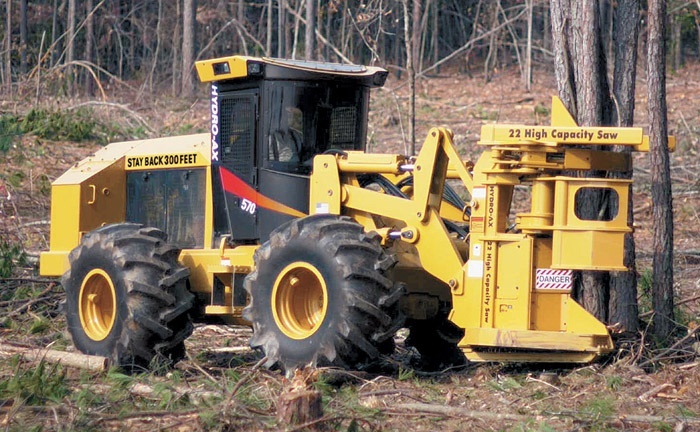 Nationwide, loggers continue to struggle with rising costs and tight markets. Even the “top shelf” types are wondering if they can hold it all together until the ranks are thinner or conditions otherwise improve. It’s true that, as a group, loggers over the years have often complained about compensation rates, but in most instances, these days they have a legitimate problem. Time is money, goes the old saying, and the mill turnaround time study released by Wood Supply Research Institute (WSRI) in March shows that lost time costs loggers millions. The study covers just nine states, but identifies between $39.2 and $102.9 million in annual losses due to excessive turn time. The study was conducted in Alabama, Florida, Georgia, Louisiana, Maine, Mississippi, South Carolina, Texas and Virginia with the help of volunteer loggers and truck drivers. Forest Products Machinery and Equipment Exposition has grown into a major display of forest products industry technology. 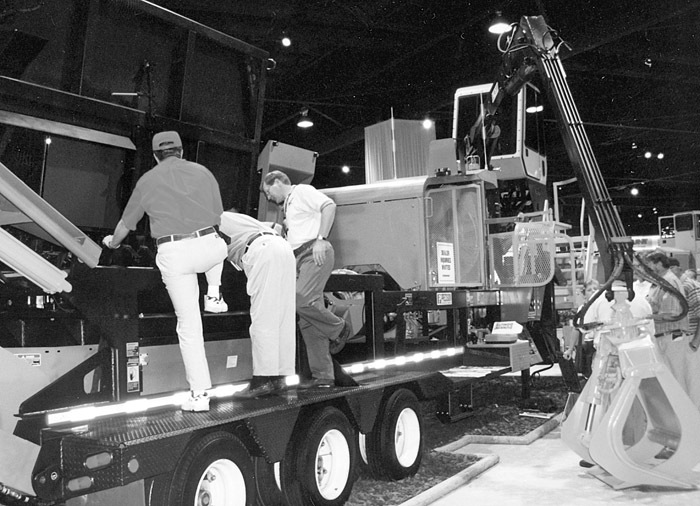 Expo traces its roots back more than 40 years, when members of the Southern Pine Assn. (SPA) held a series of meetings to determine how the industry’s mechanical efficiency could be improved. They determined that it was necessary to bring together machinery manufacturers and lumbermen for an exchange of ideas that would also lead to closer relationships. Hydro-Ax introduces the Series 70 line of feller-bunchers that focuses on visibility, agility, durability and performance. The most noticeable feature is the curved, reverse-slope windshield that reduces glare and minimizes rain and dust adhesion. The windshield and large treetop skylight, together with large side and rear windows, optimize visibility. What are the biggest issues affecting your business right now? Don and Dan Iverson D&D Mechanized Pulping Black River Falls, Wis. One the of biggest issues that has affected loggers in Jackson County has been the temporary shut down of about 4,000 acres of the Black River State Forest for environmental studies. This acreage is on deferral basis in regards to management for the next five years while they produce a management master plan.